Hi! 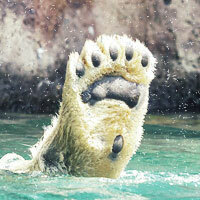 Welcome to my Polar Plunge fundraising page! Brrrr.Good Luck with your jump! Appreciate all the work for a good cause! SEND IT! Let's do this Team !! Have fun taking the plunge! Send it! 50% Profit Split from Anoka Ride MN Booth! Yoga MN Hosted by Nicki Lemmon Schwamb at Cowboy Jacks Donation matched by Ride MN! Personal Donation Matches Day of Plunge matching Butch Lehman, DWA & Josh Guyer, Vicki Buck, Team BPRacing!, and Anonymous! Thank you all so much !! $5k Top Off !! THANK YOU ALL SO MUCH !! What a TEAM !! Wahoo! You RIDE/jump for a great cause!!! All the best with your jump! 50% Profit Split from Minneapolis Ride MN Booth!